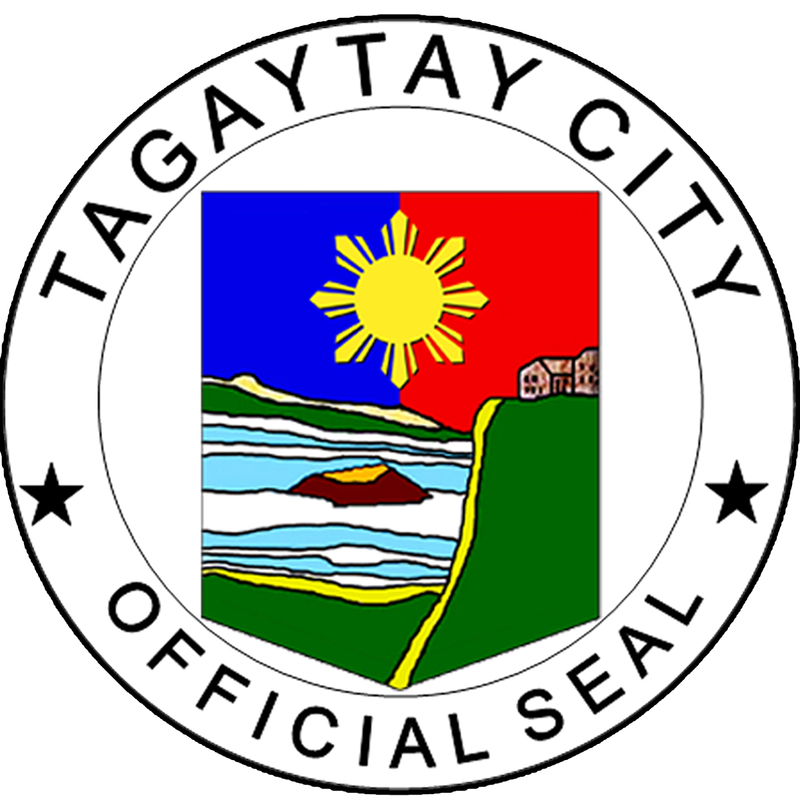 The City of Tagaytay was created under C. A. 338 on June 21, 1938. Shape of the Seal - Adapted from the seal of the Republic. Red, Blue, and Sun Background - Depicts the highly nationalistic spirit of the city populace; also signifies the fact that the city was one of the eight provinces that participated in the Philippine Revolution. Foreground - Pictures Taal Lake and Volcano. The lush vegetations and the rolling mountain ranges signify the fertility of the soil and the invigorating climate. The cliff with a building atop signifies the liberation of the city during the World War II.